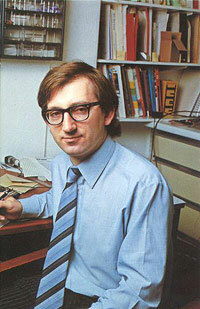 In May, 1979, Jim Westwood, the Chief Engineer of Science of Cambridge Ltd (a British consumer electronics company, incorporated in 1973 by Sir Clive Marles Sinclair), started a project to design a new microcomputer (to replace the first microcomputer kit of the company—MK14), based on Zilog Z80 microprocessor. Westwood needed only nine months to develop a remarkable device—Sinclair ZX80 (it was named after the Z80 processor with the X for the mystery ingredient), and it was announced in February, 1980, as a kit form for £79.95, (purchasers had to assemble and solder it together), and as an assembled version at £99.95. The low price opened up the market completely, with more people now able to afford a home computer resulting in over 50000 unit sales and a waiting list for the ZX80 of several months (an unheard number for the day), before they came out with the improved ZX-81 one year later. 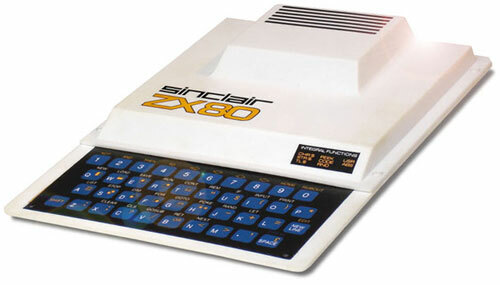 Sinclair ZX80 had the ability to outperform many of its competitors, and yet was built using readily available components. Proving hugely popular, the ZX80 weighed in at just 340 grams, and was the first computer with a price tag of less than £100. In the USA the computer was advertised as The first personal computer under $200! 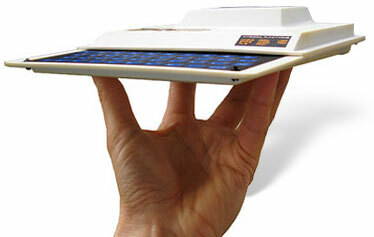 The computer was mounted in a tiny white plastic case (designed by Rick Dickinson), weight only 340 g, with one piece blue membrane keyboard on the front. Westwood designed the machine using 21 readily available TTL chips (the only proprietary technology was the firmware) around Z80 CPU (in fact, most machines used the NEC μPD780C-1 equivalent), running at 3.25 MHz. The computer was equipped with 1 KB of static RAM (64 KB max) and 4 KB ROM, containing the operating system and programming language—Sinclair BASIC, and a editor. The display was hooks to TV, 22 x 32 black-and-white characters. Ports are memory and casette. Peripherals supported: Sinclair thermal printer.